Porsche 911 Hybrid patents leaked, another McLaren sportscar is in the works. 4WheelsNews today showed this patent drawing. It's pretty clear what is being pictured: a 911 (with Fuchs Wheels, and it looks like a 997 model) is being plugged into an what looks like a charging box. It doesn't look that exciting to be honest, and not even that detailed. 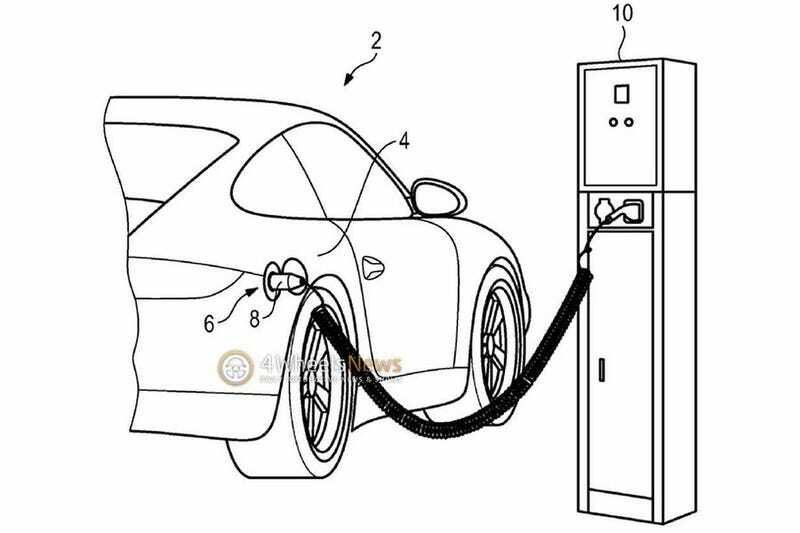 My guess is that it's one of many patents filed for an electric/Hybrid 911. I just wonder what kind of 911 this is supposed to be? A fully electric car, similar to the Mercedes SLS e-Cell or 911 based Ruf eRuf? Or is it going to be a plugin system that works as a hybrid and keeps the 6 cylinder? And what about a 4-cylinder, hybrid 911 that performs like a big 6 cylinder but gets 918 like MPGs? Time will tell, and Porsche surely can find another niche in the 911 lineup. In other news, a McLaren spokesperson confirmed yet another MP4-12C derived sportscar. So far, McLaren offers the 650S, the sold out P1. In the near future, a P13 will fight the 911 Turbo and be the cheapest offering, while on the other end a P1 with more power, grip and no road legality will take on Ferrari's FXX program. The new vehicle from Woking is set to conquer the niche between the 650S and the mighty P1. Both the chassis and the veritable 3.8L V8 BiTurbo will be modified to differentiate it from its cousins, so a power figure of around 750hp seems realistic.